This is a super quick and easy Christmas gift. If you are looking for a Secret Santa Gift, Teacher Gift, or Gift for the Neighbor then check out this cute gift. All you need is a mason jar and some Hershey Kisses. 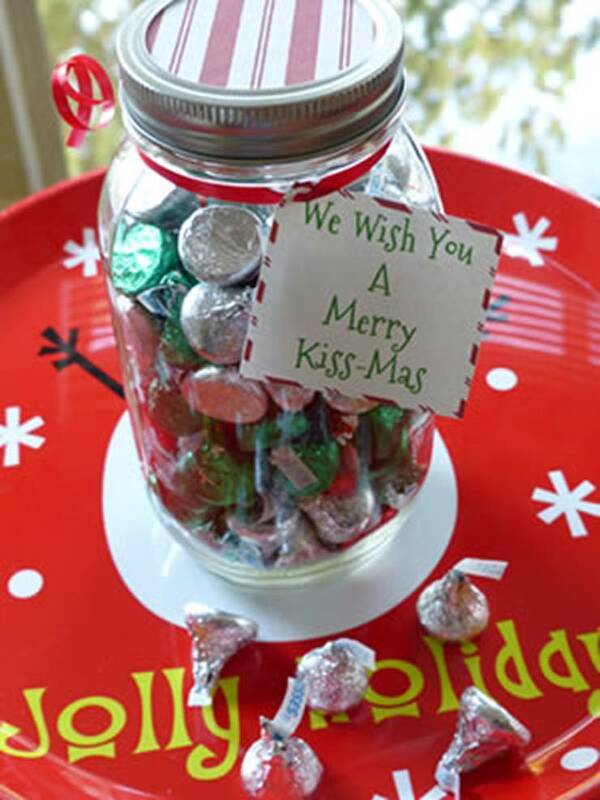 Create a cute little tag that reads…”We Wish You A Merry Kiss-Mas”. Who wouldn’t love getting chocolate? More holiday gift ideas to come!